Push-ups: 3 Ways to Get Strong, Anywhere! 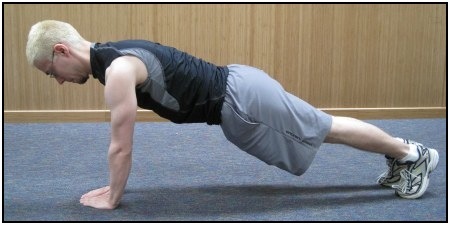 Push-ups are one of the most basic exercises around. You can do them almost anywhere, they're simple, and they're aGREAT upper body exercise. So, learn the correct way to do them right here! The three different kinds given below are different ways to hit your upper body. Varying your workout keeps you interested and lets you focus on strengthening specific parts of your body. For all of these, if you can't do them with just your hands and toes touching the floor, start on your knees. This will make the exercise easier, and you can work up to doing the full version. For these guys, place your hands at slightly-wider-than-shoulder width, in line with your shoulders on the floor. This engages mostly your pecs and deltoid muscles for the movement. Keep your body stiff like a plank with just your toes & hands on the floor. Lower your chest 'till it touches the floor, and then push yourself up 'till your arms are extended. Make sure that your body is tight, with your abs tight and neck straight. It's enticing to cheat on this exercise by extending your neck so that your head touches the floor before your chest – enabling you to stop the 'down' part early. DON'T DO IT! Keep your head pulled back so that you do a full 'up-down'. These remove the deltoid muscle almost entirely from the push-up movement and put much more strain on the triceps. Less shoulder and chest; you're building arm strength. 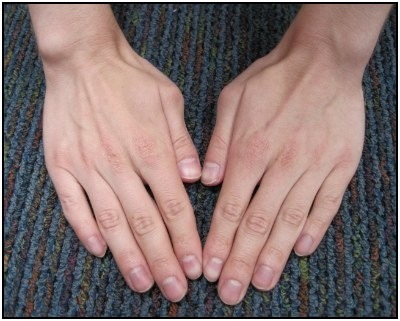 Place your hands in a triangle on the ground in line with your upper chest. As you go down and up, your arms should be tucked in to the sides of your body. DO NOT have your elbows coming out to your sides. Keep your arms and elbows tucked in tight toward the sides of your body, and keep your body straight and tight. Focus on contracting and pushing up with your triceps at the end of the movement. These hit your shoulders and arms more than your chest. Start with your body in position for a normal push-up, and then walk your feet forward till your body makes a right angle at the hip. To make if more difficult, you can place your feet on a bench or some other higher surface. Keeping your body tight, simply lower yourself till your head touches the floor, and then push yourself up 'till your arms are straight. Get Out There And Sweat! 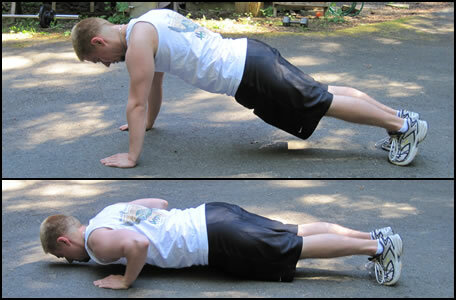 Push-ups are a great exercise, and they require no equipment. If you're on vacation or you can't get to the gym, they're just your ticket, and they will get you damn sore. Either way, a great exercise! • Click HERE to learn more about body weight exercises like push-ups! 1. Dos Remedios, Robert. 2007. Men's Health Power Training: Build Bigger, Stronger Muscles Through Performance Based Conditioning. Emmaus, Pa: Rodale.